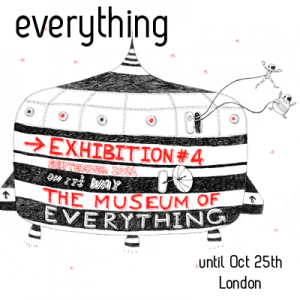 On beholding the Museum of Everything’s Exhbition #4 there should be a bubble floating above your head saying WTF? Originally set up in a far less glamorous venue in Primrose Hill, the team of Outsider Art crusaders present their garish and chaotic curation in the last place in the world you’d expect to see it –Selfridge and Co. Props must be given to the owners of the prestigious high end department store for putting their sought-after display windows –on the corner of Oxford and Orchard Streets in the city’s commercial centre –at the mercy of the Museum of Everything for a full eight weeks. After essentially knocking on the door and asking if they could borrow the space, they seize the opportunity and pull out all the stops. From the outside there exists a weird binary between the two realities; the frayed edged Carnivalesque of the Museum of Everything’s branded aesthetic with the prestigious store and its famous architecture. The window exhibits offer a bizarre interpretation of Oxford Street. Ruby Bradford’s fascination with British Royalty extends to painted images of the Princes William and his father Charles. They’re sometimes depicted meeting comic book hero Superman inside, while the larger than life reproductions out the front wave to the equally weird and wonderful souvenir stores across the road. Crossing a busy street toward the Selfridges entrance, one is compelled to block out the high-pitched drawl of a very successful saleswoman speaking to a flock of consumers on her microphone. That means heading in the direction of a rotating model of Stefan Hafner’s highly ambitious ‘The City of the Future’, while an attempt to read the didactic panel is hampered by a current of frenzied shoppers that threatens to pull any loiterers in line with them. Once inside though –through the glassed doors, and down stairs –things take on a little bit more equilibrium, even if it is within an overwhelming array of works from the world’s margins. 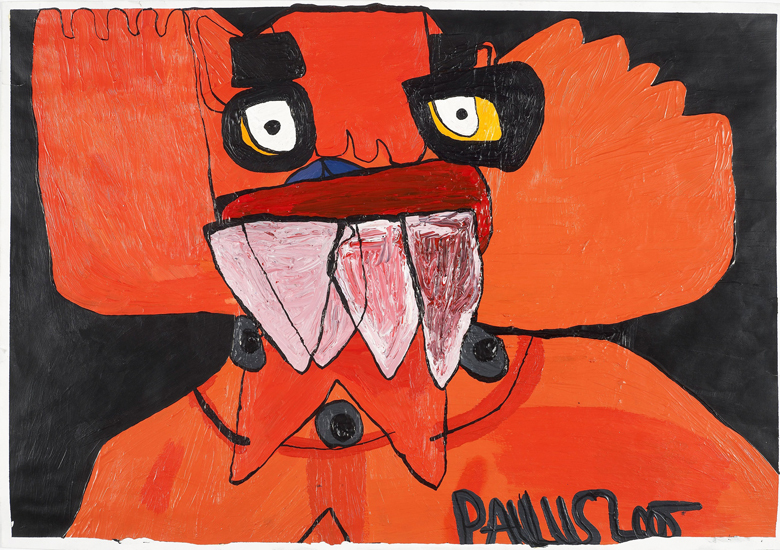 The Art Brut this time around comes from galleries and communities where art is not only used as a form of therapy for its institutionalized patients but as an artistic outlet. As a compendium of their work, the exhibit explores the breadth and depth of minds that reach creative depths well beyond those of mainstream post-moderism. Offbeat jazz plays an ideal soundtrack to these strange corners of the liberated mind, far removed from the realms of convention, where a construction-site obsessive offers his outlandish model pulleys and cranes, while another Brazilian artist makes his own currency with ballpoint bank notes. 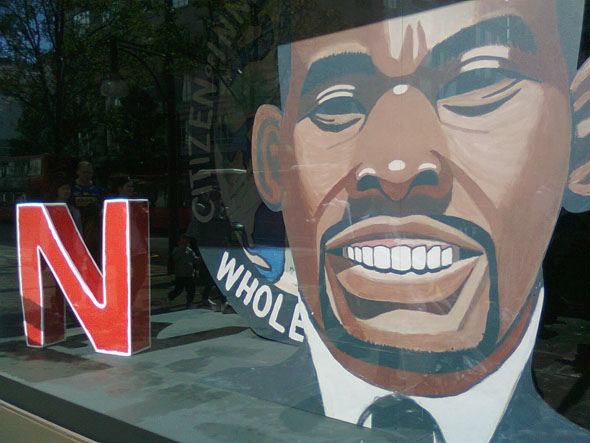 There’s the shadow of a culture and past life too, where one artist from Massachusetts applies his own untrained hand to portraits of famous American authors and another from Poland channels his internalization of the country’s religious enthusiasm with his own renderings of Saintly iconography. There’s a huge quilt of embroidered pool balls near another artists repetitive drawings of stylised red shoes, while an element of being fascinated with the everyday object is a theme that dominates. In finding the extraordinary in the ordinary, there’s a sketch of an empty bathroom, a knitted telephone or an array of colourful wooden boxes modelled on the everyday electronics that fascinate a brilliantly lucid technophile. One woman’s mental complexities is represented by endless strings of coloured cut-out particles, while the squashed forms of garish professional wrestlers that occupies a Japanese artists’ thoughts dominates an entire wall. There are even the formalistic preoccupations expressed through pages and pages of repetitive writing of characters, numbers and letters, sometimes taking on a greater visual form and sometimes not. This universe of fascinating ideas is hurled at you before you are thrust back into the madness of Christmas shopping season in Selfridges Proper and leading one to consider the true nature of madness.